SAN FRANCISCO, CA – Building upon a growing movement, the Alliance for Excellent Education and its partners are calling on teachers, schools, principals, community leaders, parents, and students to participate in the first-ever national Digital Learning Day on February 1, 2012. Digital Learning Day will celebrate innovative teaching practices that make learning more personalized and engaging and encourage exploration of how digital learning can provide more students with more opportunities to get the skills they need to succeed in college, a career, and life. 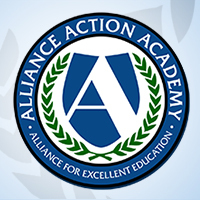 “Digital Learning Day is more than just a day,” said Bob Wise, president of the Alliance for Excellent Education, cochair of Digital Learning Now!, and former governor of West Virginia. “It is about building a digital learning movement that provides teachers with better tools to truly provide a quality education for every child. “The use of technology has made nearly everything in modern life more efficient, accessible, richer, and faster. It is hard to imagine modern life without the rapid innovations that have boosted productivity, created jobs, and changed daily life, yet education remains largely untouched by the power of technology in the classroom and particularly in teaching and learning. “Simply layering on technology alone will not move the education needle very much. Effective technology combined with great teachers and engaged students have the potential to transform the world of learning. The time has come to ensure that every child has access to the engaging experience that comes with powerful teaching and rigorous content available through digital learning. The teachers are here, the technology is everywhere, and the students are ready and able. Now it’s time to put it all together. Gov. Wise made the announcement at the Foundation for Excellence in Education’s 2011 Excellence in Action National Summit on Education Reform. Initial support for Digital Learning Day comes from leading content and technology companies including Google, Intel Corporation, SMART Technologies, Epsilen, GlobalScholar, and Pearson Foundation. 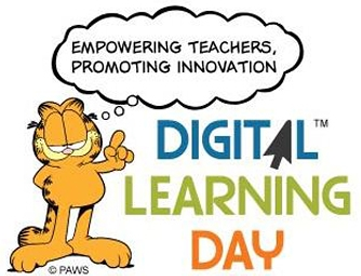 Additional partners in Digital Learning Day include Carnegie Corporation of New York and nearly twenty leading national organizations representing educators, leaders, and the best in thinking about educational technology and learning, as well as an advisory group of twenty-five educators. Gov. Wise’s draft remarks on Digital Learning Day from the 2011 Excellence in Action National Summit on Education Reform appear below. (Watch Gov. Wise’s announcement live at 4:45 pm EST at http://wpc.230d.edgecastcdn.net/00230D/august2/fee/webcast/index.html). “The nation has a moral and economic imperative to change the way teachers teach and students learn in this country to ensure that every child graduates career and college ready and with the deeper, twenty-first-century skills they need to compete in today’s rapidly changing economy. Too many low-income students and minority students are not graduating from high school, and many of those who do graduate are still not prepared to complete college or succeed in a career in an economy where 30 million new and replacement jobs will require some college or above. “Meanwhile, states face an ongoing funding rollercoaster as the economic recovery remains fragile and federal funding remains uncertain. And the most critical resource, our teaching force, is increasingly less experienced, and school districts face shortages of teachers in critical areas such as physics and chemistry. Moreover, teachers faced with increased administrative, bureaucratic, academic, and social responsibilities find they are not always able to personalize instruction as much as they would like. “New innovations are sweeping the nation and teachers are constantly finding new ways to use technology to provide students with rich, rigorous content; personalized, engaging learning experiences; and courses and concepts that might not otherwise be available to them. Teachers are plugging in and connecting to project-driven learning that allows students to build the skills needed to succeed in this rapidly changing economy. “Today, we begin a year-round celebration of innovation, personalization, and imagination to build a movement that provides a high-quality education for every child. No matter the approach, no matter the grade level, no matter the subject or geographic location, no matter the teacher’s specific comfort with using technology, Digital Learning Day will challenge education professionals and policymakers at all levels to start a conversation, make a proclamation, improve a lesson, or create a plan. Learn more about Digital Learning Day at http://www.digitallearningday.org.